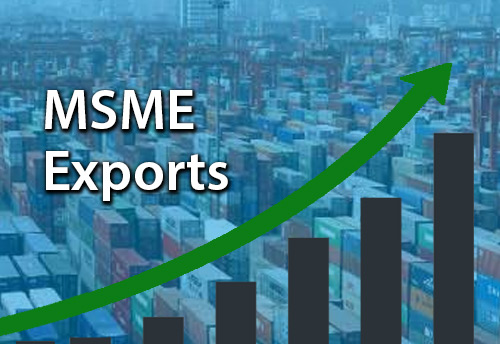 The growth of exports of products manufactured by MSME units has been 7.5%, during the financial year 2017-18. This was informed by Giriraj Singh, MoS (I/C) for the Ministry of MSME, in the Lok Sabha today. The Minister further informed that the growth had been -5.9%, and 4.8% during 2015-16 and 2016-17 respectively. Giriraj Singh added that as per the information received from Directorate General of Commercial Intelligence & Statistics, the value of exports of MSME related products have been USD 130768.70 Million, USD 137068.80 Million, USD 147390.08 Million, USD 78519.91 Million during the financial year 2015-16, 2016-17, 2017-18 and 2018-19 (till September, 2018), respectively. He also stated that the Government of India has taken several measures to improve competitiveness of Indian industry and to boost exports. These include efforts taken under National Manufacturing Competitiveness Programme, Make in India initiatives, Ease of Doing Business, improvement in infrastructure and logistics, improved availability of credit, awareness programs and workshops, Merchandise Exports from India Scheme (MEIS), Interest Equalisation Scheme on Pre & Post Shipment Rupee Export Credit and Niryat Bandhu Scheme. In reply to another question the Minister said as per the information received from Central Statistics Office, the share of MSMEs in Gross Domestic Product at current prices has been 29.7%, 29.2% and 28.9%, during the financial year 2014-15, 2015-16 and 2016-17, respectively. He further said that as per the 73rd Round of National Sample Survey (July, 2015 – June, 2016), conducted by the Ministry of Statistics & Programme Implementation, 1109.89 lakh persons were employed in unincorporated non-agricultural MSMEs, excluding construction.